Our proprietary product is an all-natural product made with 100% organic ingredients that will repel ticks and mosquitoes. 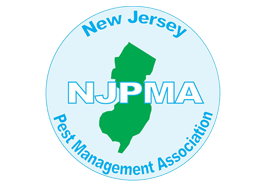 It is administered in a barrier spray program and applied where these nuisance insects breed and dwell. 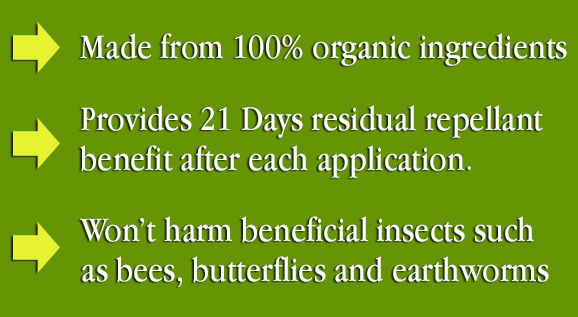 The average residual repellent benefit against these insects is an average of 21 days. This product is safe to use around children, pets and wildlife. Since this all natural blend will act as a repellent to deter new mosquitoes and ticks for a shorter time period, spraying is required on a 21-day cycle to ensure adequate protection. Although this option doesn't offer the same results as our synthetic spray, we do endorse its effectiveness as a repellant solution and guaranteed your satisfaction. Depending on your own yard and family needs, it may be the right solution for you! Our proprietary synthetic option is a synthetic form of pyrethrin called a pyrethroid. 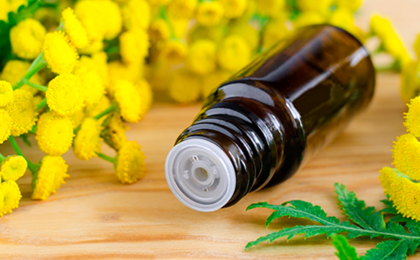 This is an organic compound similar to the natural pyrethrins produced by the flowers of chrysanthemums. It is effective and endorsed by the World Health Organization (WHO). This blend utilizes the same primary ingredient that is in lice shampoo and flea collars. While no tick and mosquito control company can promise to eliminate all mosquitoes from your property, Backyard Bug Busters's organic spray does cut down on your tick and mosquito population significantly. We tell our clients to expect a 70-75% decrease in the number of ticks and mosquitoes on your property after the spray has been applied (the traditional spray eliminates 85-90% of ticks and mosquitoes). Our organic tick and mosquito spray is made of up essential oils and does work differently than our traditional barrier spray. While it eliminates adults mosquitoes on contact, the organic spray acts a repellent instead of eliminating ticks and mosquitoes through their eating habits. Our traditional spray is ingested by the mosquito when it feeds on plant material that has been treated, eliminating the pest. The organic tick and mosquito spray repels them with its smell. When first applied to the property, there is a slight botanical fragrance to the all-natural spray. To a human's sense of smell, the odor dissipates within a few hours of application, however, mosquitoes are much more sensitive to smell. The fragrance keeps them away. Because the tick and organic mosquito control breaks down in the natural elements more quickly, we at Backyard Bug Busters recommend reapplying the treatment every 21 days for continuous protection. For comparison's sake, the traditional barrier spray is reapplied every 30 days usually. Food Grade Cedar Oil is a great option for repelling mosquitoes. You will get all the benefits of cedar mulch without the unattractive side effects. The natural aroma of Food Grade Cedar Oil and peppermint is pleasing to people but objectionable to mosquitoes and other pests. An added benefit is that if mosquitoes come into contact with the Food Grade Cedar Oil and peppermint, it can kill them, their eggs, and their larvae. 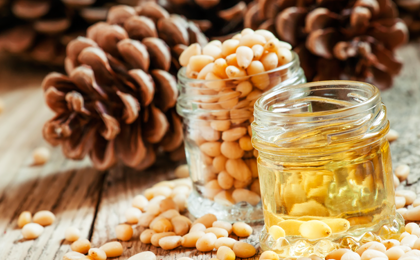 Cedar oil also helps to prevent the next generation of mosquitoes by dissolving their eggs, larvae, and pupae. The oil only needs to come into contact with the pests for it to be effective, the bugs do not have to ingest it. It's also not just effective for mosquitoes, but for ticks and many other insects.